In a construction business, the team had under invoiced £1.4m, took work on 14 % below breakeven profit, and was insolvent. In an aerospace business the executive team took on an engine cost redesign project that the team were not capable of fulfilling safely. The norms in these businesses had driven these surprises underground. One of the most blatant was a HRD’s response to escalating a critical aerospace safety issue during an exec review: “put up or shut up!” HR eh – an odd people strategy in a safety critical aero environment! Another Midlands business was the former regional darling of HSBC, fast growing to a heady £24m turnover, but after a series of surprises things became difficult. Sales had fallen from £24m to £7.5m yet they still had a £2.4m overdraft, they had run out of cash and now were haemorrhaging £400k cash per month! So immediate results were required. So finally, two very concerned founders called me 10pm Sunday night because the bank had called a meeting on Tuesday: so were a bit stuck! Yet the business had great potential to grow easily back to £15m t/o with £3.5m profit. It had a defendable high-tech design and manufacturing capability and a capable team that justified a market leading margin well above their current pricing. So, on day 1, I walked around the business looking for the heroes, to put the business back together. In manufacturing, I noticed a chap with his head down but noted he had real grit, the bosses son was young and the only candidate in procurement, the financial controller was transactional but given support she could hold the fort, the commercial director given the right guidance was capable of putting up the pricing, and fortunately the bank appointed FD had no interest in being involved 😊. So, my interim FD and I got the team together and cascaded the key objectives and (uniquely) asked them to formulate their own plans. As chair, I set up a daily team progress review with a simple reporting format enabling the team to give the 2 founders and the others an opportunity to report on their progress and issues. These reviews allowed for direct feedback, so we were immediately, safely and openly address any issues on the job. The key to recovering the cash position and profit was through recovering sales. In 2 weeks, we achieved the underlying objectives to realise the £600k sales target and the immediate price increases got the business back to profit. So, the founders had a successful meeting with the bank. Organisations write off employees far too quickly. The people with the grit to make things happen become downtrodden, leaving the weaker to thrive. Have you tried unleashing your employees and giving them great opportunities? What a car crash it would have been to recruit another operations director… they now had 70 unleashed “operations directors” in waiting. how to unleash the team to execute strategy and transform capability on the job. So before looking externally: ask yourself who in your team have you written off? They will be the BEST people to lead the transformation of your organisation. 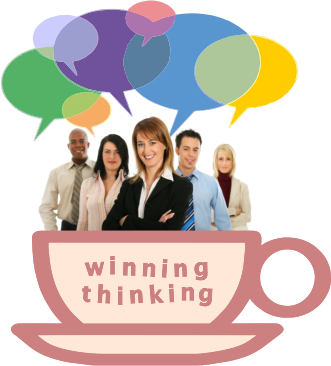 In only 1-day during a winningthinking colloquium, you and your peers will experience a completely different discussion. 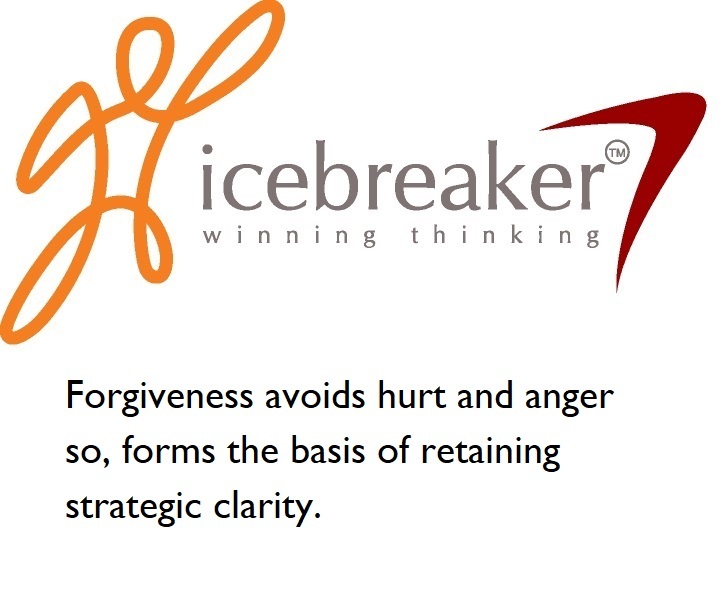 This transforms relationships and builds courage – the basis of unleashing your employees. Whilst I don’t expect you will become an expert in company turnaround… you will learn how to avoid one and how to build and preserve business value! If you would like to discuss tailoring a Winning Thinking Colloquium to break the bottlenecks inside your organisation, and unleash your employees please phone me on +44 (0) 77 2059 7869, send me an email or click here to schedule a meeting with me. PS. 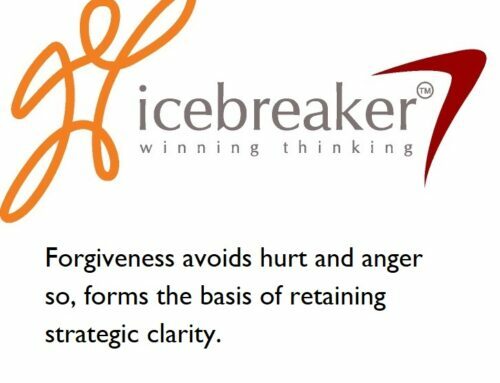 Your organisation will discover massive bottlenecks which you were not even aware of at a tailor-made 1-day Winning Thinking Colloquium, and it’s fun!